James Marsden (X-Men: Days of Future Past), Billy Bob Thornton (Entourage), Thomas Jane (The Mist) and Piper Perabo (Looper) star in this nerve-shredding thriller. A sheriff whose mission is protecting the threatened grizzly bear suddenly finds himself conflicted when a massive rogue grizzly wreaks havoc on a local Alaskan community. 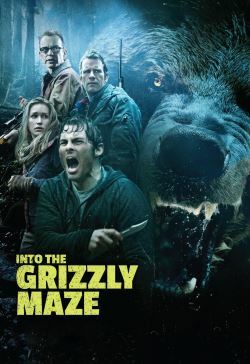 Enlisting the help of his estranged brother he enters the labyrinthian Grizzly Maze to track down his wife, who’s gone missing, before the bear does. As the body count mounts and an infamous bear hunter enters the fray determined to take down the bear he’s been waiting for his whole life, no one is safe in the harsh Alaskan wilds.